There is no doubt that I love Kanebo Sensai and my latest must-have from the brand is Cellular Performance Wrinkle Repair Collagenergy SPF 20. Meant to be used in the AM as the last step of your skincare regimen and before makeup, the Wrinkle Repair Collagenergy helps to awaken skin cells and promote collagen synthesis for a firmer, rejuvenated, radiant appearance. • Star Fruit Leaf Complex to revive the skin’s vitality by boosting its cellular performance and to resist daily external stress factors. • Moon Peach Leaf Extract to stimulate collagen synthesis by reactivating fibroblast cells and increase fresh collagen supply. • CPX Vital Extract to perform anti-aging actions. • Koishimaru Silk Extract to moisturize and regulate hydraluronate synthesis. Like the rest of the Kanebo Sensai Cellular Performance Wrinkle Repair line, the Wrinkle Repair Collagenergy comes with a Refresh Aroma that contains Bulgarian Rose, Japanese plum blossom and ylang-yland. The scent is on the strong side but really wakes me up in the morning. The texture of the Cellular Performance Wrinkle Repair Collagenergy SPF 20 is super light and similar to that of a light fluid. It only takes seconds to get absorbed completely and my dehydrated combo skin is left feeling softer and more hydrated with zero greasiness or shine – perfect as a makeup base! The best part is I saw an improvement in the overall texture of my skin and in just a little over a week! Thank you Kanebo Sensai for making yet another great product that I can’t live without! 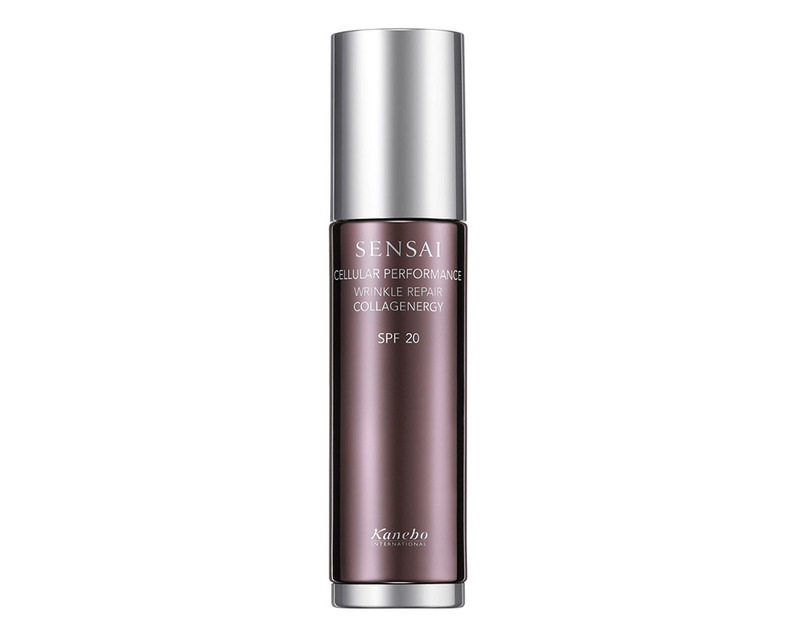 Kanebo Sensai Cellular Performance Wrinkle Repair Collagenergy SPF 20 is now available at Bergdorf Goodman for $188. sounds too good to be true! Has this replaced something else in your skincare regimen? I bought this after reading your review. I was a bit skeptical at first because of the price tag but yes you are right, it does work. My mom loves it too!